It seems that October 2014 will be very hot. Besides that such anticipated and chic games, as Assassin’s Creed: Unity, Borderlands: The Pre-Sequel and Middle-earth: Shadow of Mordor will be launched this month, Lords of the Fallen game has alsobeen added to the list of October game’s releases. Thus, today, the representants of Deck13 Interactive and CI Games companies - the project’s developers - have announced in the official game’s account in Twitter, when this action hits the shops. 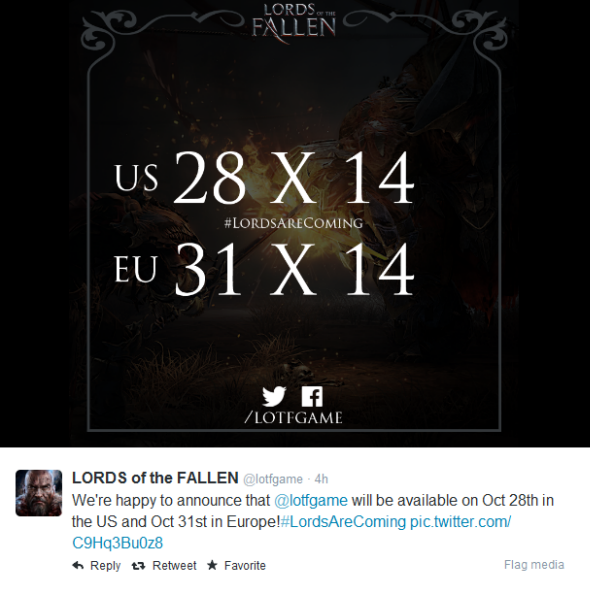 According to the official information, Lords of the Fallen release date is set on the 28th of October in NA on the next-gen consoles and PC. As for Europe, in this region the game will be launched a bit later, i.e. Lords of the Fallen release date will take place on the 31st of October 2014. If you don’t know anything about Lords of the Fallen game or just have forgotten, then we will describe it briefly. This project, which is being developed in the genre of action, will give you a chance to play a role of a convicted criminal - Harkyn, - who wants to make satisfaction for his numerous sins. But who told you that it will be easy? The protagonist will have to fight against the huge army of the long-ago defeated god, who wants to enslave the people and rule on Earth. The epic battles, the various and the strongest enemies, an interesting combat system and lots of other exciting things await you in this game. If you want to know more, then go to the official project’s site. 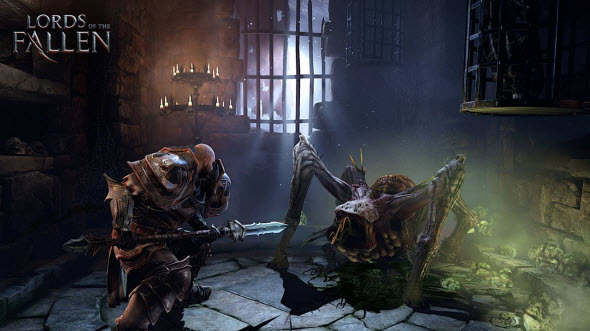 Are you interested in Lords of the Fallen game? Are you satisfied with its release date? Don’t be shy and write us your opinions at the bottom of the page.